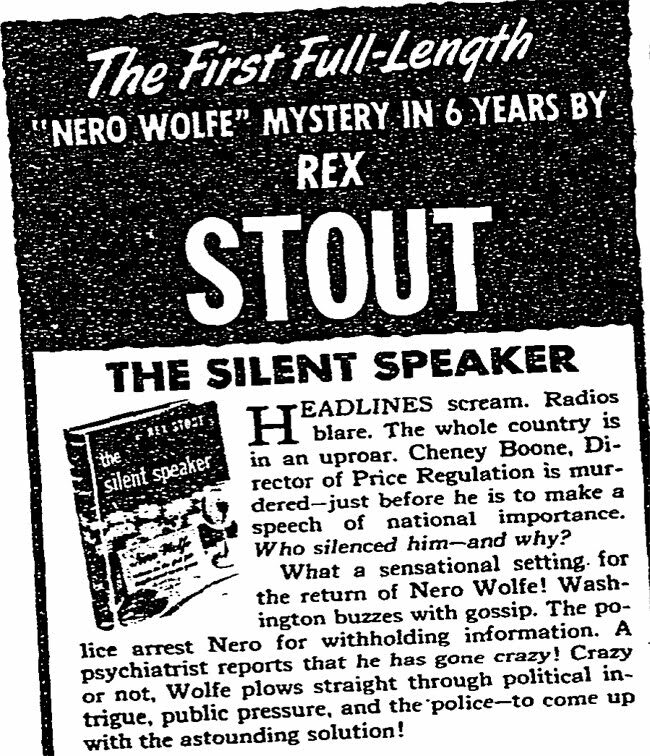 from "Detective Book Club Display Advertisement," New York Times, November 11, 1946. "Headlines scream. Radios blare. The whole country is in an uproar." "The police arrest Nero for withholding information. A psychiatrist reports that he has gone crazy! 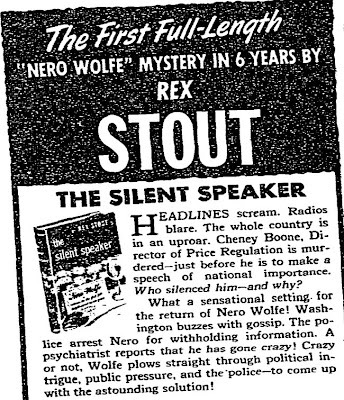 Crazy or not, Wolfe plows straight through political pressure, and the police -- to come up with the astounding solution!"